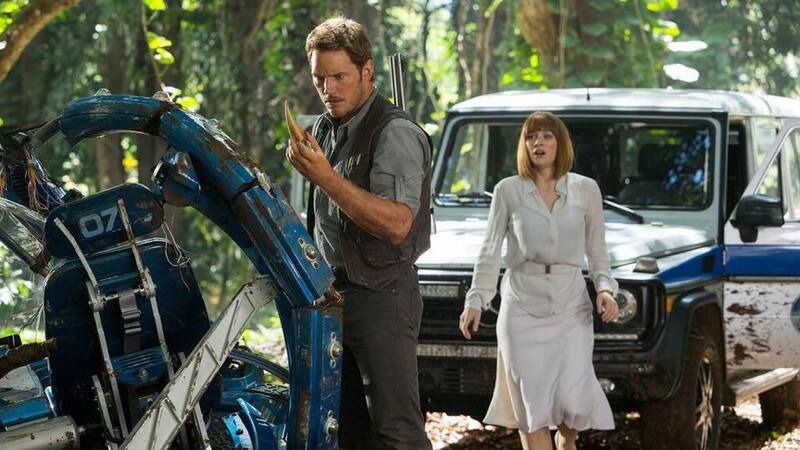 Jurassic World gets an A for effort, but (lightly) scratch beneath the surface we run into a dino, hot mess. 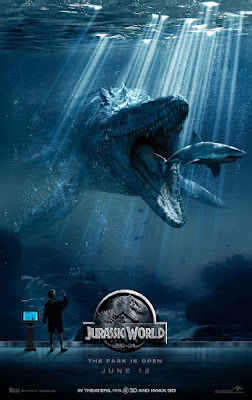 First things first, Jurassic World is significantly better than Jurassic Park 2 and 3, but that's not saying a whole lot - kind of like comparing poo to vomit. And in no way does it hold a candle to the original. Twenty-two years after the events of Jurassic Park, Isla Nublar is fully operational, and has been functioning as a dinosaur theme park for the last ten years. The island looked very cool, sleek and exciting. It had me saying; "Man, I want to go there." But as the story progressed my semi-high hopes plummeted. The main plot: A genetically designed dinosaur escapes captivity to reek havoc in her new back yard, the island goes crazy, while people try to take it down. The big finale was riddled with cliches, mixed in with a laughable display of... "really?!." More times than not Hollywood ignores reason for spectacle, though, so I wasn't too surprised. Bigger and better isn't always a good thing. I could list a number of things wrong with the film (and believe me there are numerous things - ahem, pterodactyls flying off into the sunset, anyone? ), but in spite of everything I still thoroughly enjoyed the movie. The loveable Chris Pratt proves, yet again, that he's a leading Hollywood star. I was expecting to hate it or at least be underwhelmed. I had a blast watching it - don't take it so seriously! I had difficulty believing Bryce Dallas Howard can run around for two days at top speed in high heels. And she can't outrun a T Rex either, but I don't care. I really liked it!